In March 2017 the exhibition Spot On! 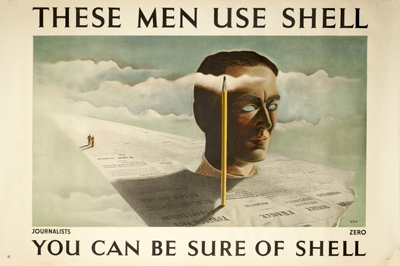 British posters of the interwar years was reinstalled at the Uni­versity of Copenhagen, Department of Nordic Studies and Linguistics (NorS). The exhibition, containing many original Shell posters, continues in 2019 and is still very popular with staff and students. 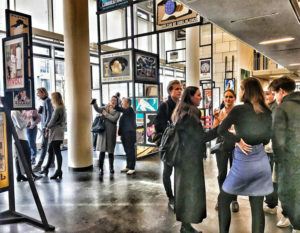 The exhibition was included in a BA course on cul­tural mediation, prompting new co-curated activities, a student-made catalogue plus a caption-writing project. The curatorial process included installing a newly added section on Danish posters from the interwar years. Short videos/spots of the exhibition were also filmed and edited by students as part of the course curriculum. This August, visitors to the National Motor Museum took part in a range of creative summer activities. These were inspired by our one-year project, The Drive for Change, commemorating 100 years since The Representation of the People Act was passed, allowing some women, and all men, to vote for the first time. 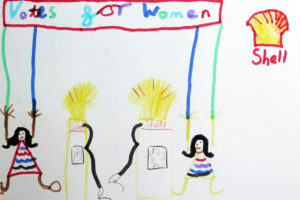 Sponsored by the Shell Heritage Art Collection and the Caravan and Motorhome Club, families were inspired by our Collections to discover how the use of cars and caravans became central to spreading the message of the Suffrage campaign in the early twentieth century. 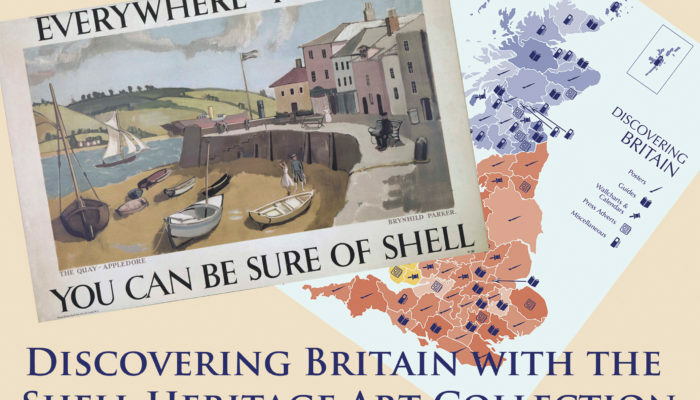 This year we celebrate 25 years since the Shell Heritage Art Collection arrived at the National Motor Museum, Beaulieu. 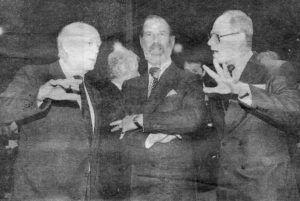 Previously stored at Shell-Mex House in London, the Collection was officially inaugurated at Beaulieu by Prince Michael of Kent on the 21st May 1993. 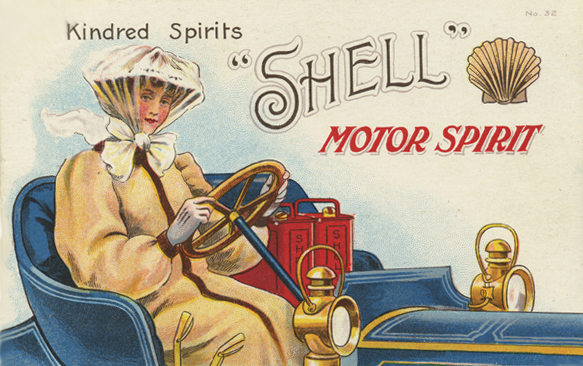 The National Motor Museum’s Director of Collections, Andrea Bishop said “During the past 25 years the National Motor Museum Trust’s relationship with Shell has proven invaluable in helping us deliver engaging displays and activities for our visitors. The wonderful imagery in the Shell Heritage Art Collection complements the Museum’s world renowned Collection, adding colour and vibrancy to the way we tell the story of motoring here at Beaulieu. We look forward to the next chapter of this highly successful collaboration”. The UK’s Vote 100 project marks the centenary of the Representation of the People Act 1918, which gave the first votes for women. The change was bought about by the Suffragette movement, led by strong women. To celebrate this event in 2018 The Shell Heritage Art Collection will be highlighting female artists from our collection who have played strong, prominent roles in their professions of commercial and fine art. 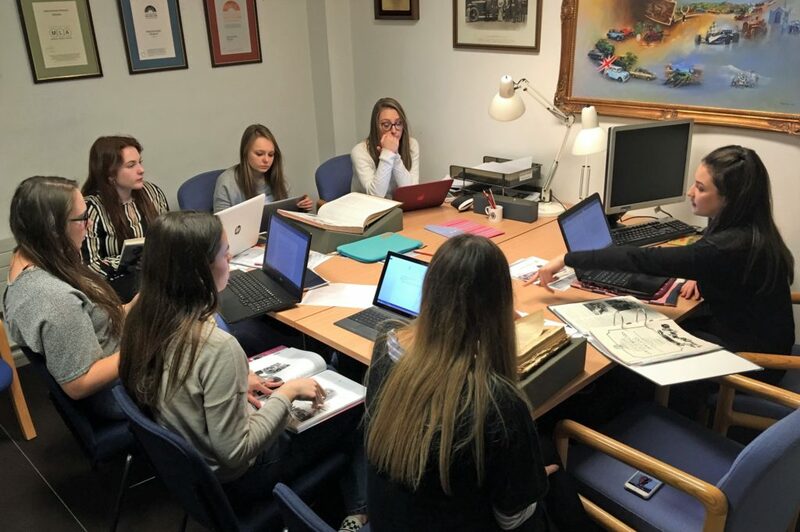 History undergraduate students from the University of Southampton have recently been researching the Shell Heritage Art Collection, the Caravan and Motorhome Club Collection and the National Motor Museum Trust collection. 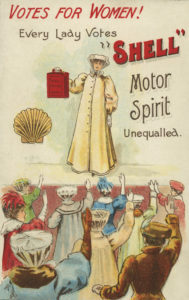 Their brief was to explore the role of motoring in the women’s suffrage movement and the inspirational stories of those who were involved. 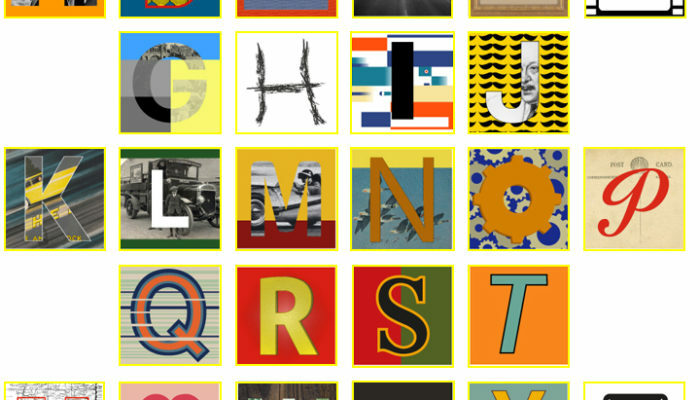 One of the outcomes of this project is the Drive for Change online exhibition curated and written by the undergraduates.